So far, I haven't even mentioned this project over on BlenderArtists - I'm trying to go it alone on this one and see if I can avoid any nuclear detonations of problematic-ness, but I might just start a thread over there a bit later in the process, I don't know yet. 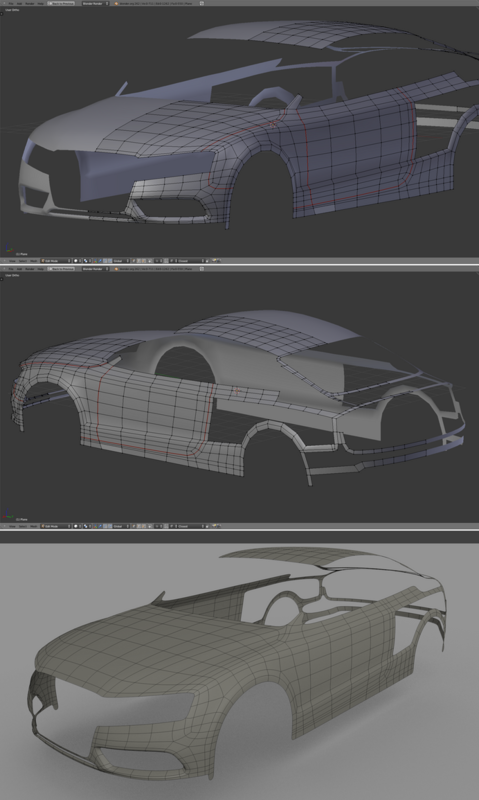 WIP #02 - Some completed panels with slightly messy topology. WIP #03 - A bit of cleaning up around the front panels, plus a bit of preliminary outlining at the back. 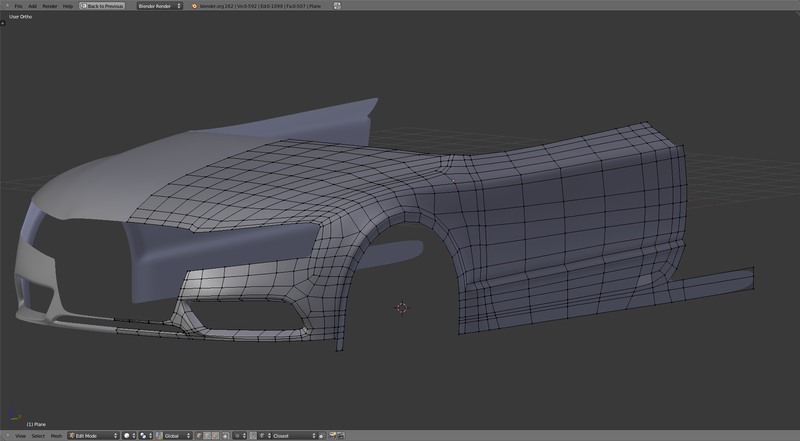 So there's still a few things left to tweak on the bodywork, but I'd say it's looking pretty good so far. 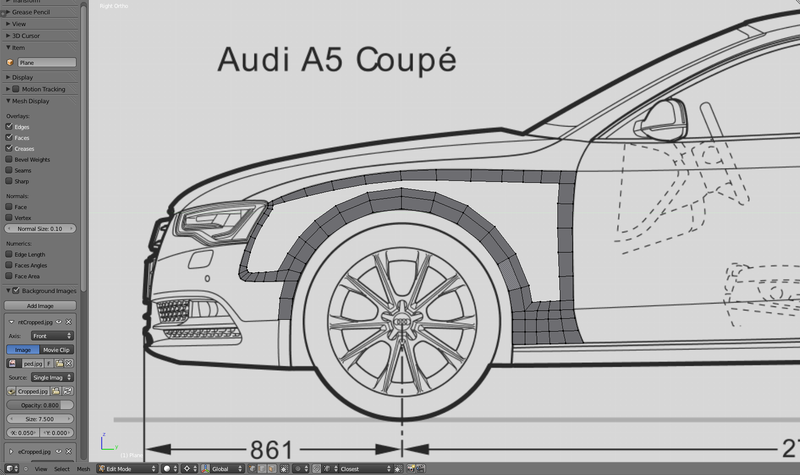 In the next few days (or maybe sometime this week) I'll be setting up a new project page for it alongside the Golf GTI and NES Console.